Have you ever tried to learn to play a musical instrument as an adult? How many times did you start to learn something and then threw it aside because it was too difficult? You may be well aware that new skillsets such as learning to play an instrument are much easier to acquire at a young age. Our minds are like sponges when we are children and, as they become more fully developed, things can be more challenging to learn and retain. Your child may perform better at school. Research has shown that children who learn to play a musical instrument tend to get better grades in school. The skillset that is acquired when learning a musical instrument is transferrable in the world of Mathematics. Children learn to understand rhythm, beat, scales, fractions, and to recognize patterns. They also receive an introduction to basic physics through the plucking of strings on a guitar or violin, which teaches about harmonic and sympathetic vibrations. Learning to play an instrument at a young age can benefit a child’s reading age, IQ, and the development of certain parts of the brain. Learning a musical instrument teaches discipline and patience. When learning something new and challenging, your child must practice on a regular basis and learn the concept of delayed gratification. This is a concept that is most useful throughout their entire lives, as they learn to persevere through challenges to accomplish goals. It will help your child develop and refine motor skills, including hand-eye coordination. 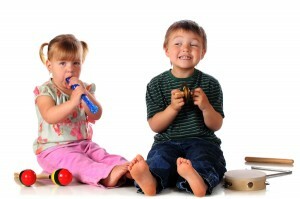 Learning to play an instrument at a young age helps to promote ambidexterity, and enhances coordination and timing. It can also help your child to learn to become comfortable in naturally uncomfortable positions, such as holding a violin. 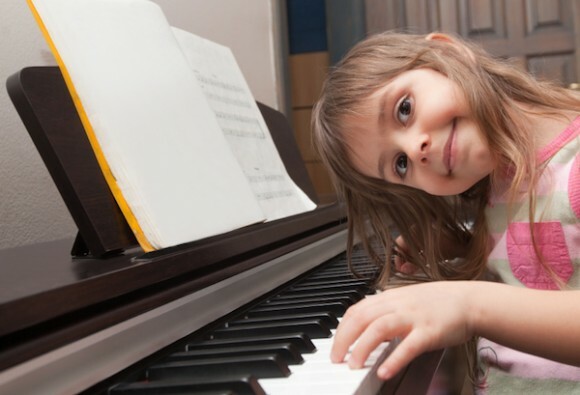 The ability to play an instrument is a skill that can help keep your child out of trouble in his or her future years and can turn into a lifelong hobby. Moreover, the endless source of entertainment doesn’t necessarily have to be expensive; resources like Musik Messe and online retailer West Music offer musical instruments kids and professionals alike at a wide range of price points. Entering your child into a group class helps him or her to learn peer interaction and communication. It also promotes the teamwork idea, as playing in a group emphasizes the idea of knowing his or her role in a bigger picture. When a child is in a new environment in which the prominent language may not be English, music is a way for him or her to bond with others despite language barriers. Have you felt that calm that comes over you in times of high stress when you put on your favorite song? Or the release that music allows you to feel? Music is a great remedy for stress as it brings joy and calms the mind. Learning how to cope with stress and to find a healthy outlet for negative emotions through music is something that can benefit your child for the rest of his or her life. It gives a sense of achievement and boosts self-esteem. Your child will learn to persevere and accomplish goals. Your child will be given many opportunities to create, thus receiving that sense of accomplishment that goes a long way and can be a motivator to set new goals and to continue growing. Your child will also learn how to give and receive constructive criticism, which is also transferrable to the world of public speaking. Music introduces children to other cultures. Music truly is the universal language, and your child can learn how music plays a role in different cultures. It can also help to expose children to classical music and introduce a glimpse of history education. 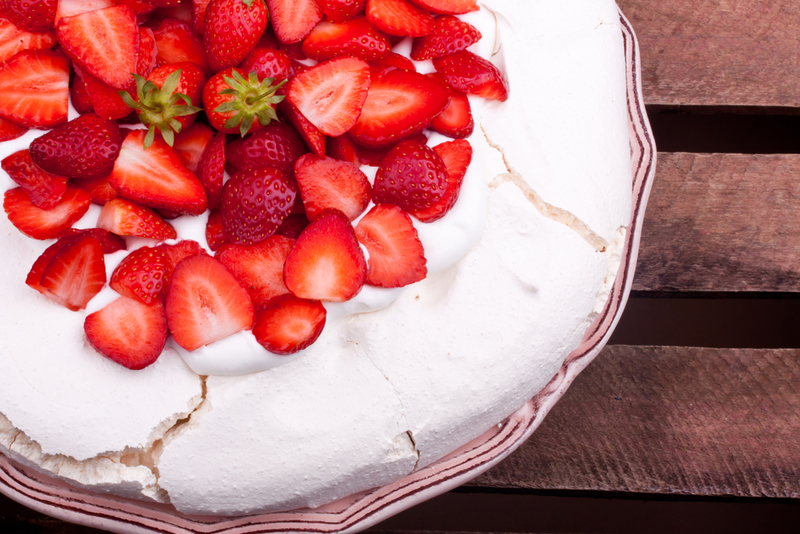 Nothing makes me happier on Valentine's day than having a yummy dessert with my special person.